Compact and quick? The smallest model in the Samsung Series 4 is equipped with a 12.5 inch matte display, and is powered by an Intel Core i5 2520M dual-core processor with a clock speed of 2.5 GHz. A UMTS module is also included. Is this notebook able to stand out from the competition due to its special features, or will it blend in with the mass of other notebooks on the market? 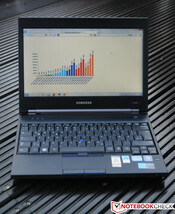 Using the title "Series 4", Samsung sells business notebooks of various sizes. The largest model in the series is the Samsung 400B5B-H01, which has a display size of 15.6 inches, and has already been reviewed by us previously. The smallest model in the series is the 12.5 inch version, which has the product name 410B2B. The notebook is available in two versions, one of which is the HZ1 version, and the other which is the A01 version (without UMTS). We opted to review the HZ1 version, and took a detailed look at the 12.5 inch notebook. 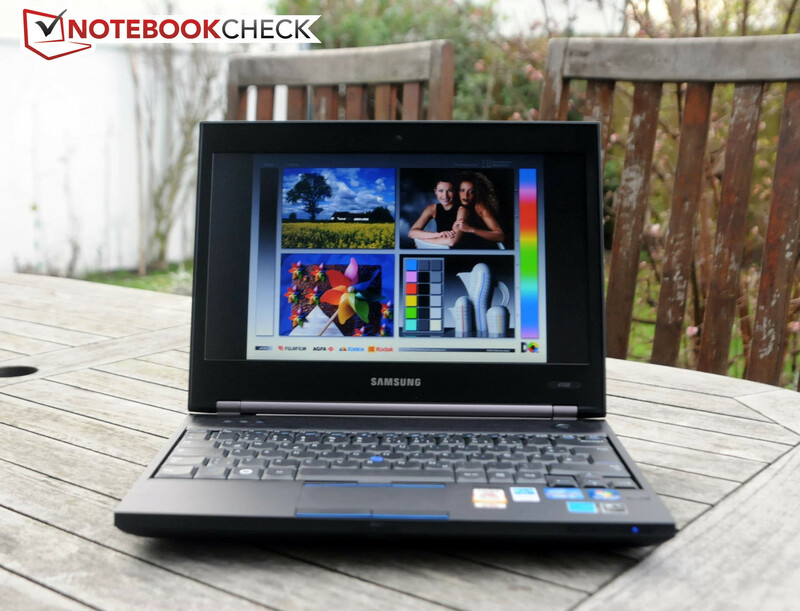 As should be the case for a business notebook, the Samsung 410B2B is equipped with a matte display. The 12.5 inch notebook provides a maximum resolution of 1366 x 768 pixels, and the processing power is provided by the Intel Core i5 2520M dual-core processor. The latter has a clock speed of 2.5 GHz, whereby this can be increased to up to 3.2 GHz using Turbo-Boost, assuming that the processor is sufficiently cool. Integrated into the processor is a DirectX 10 capable graphics solution, in the form of an Intel HD Graphics 3000. A dedicated graphics card is not available. Powerful 3D performance should therefore not be expected. The system has a total of 4 Gigabytes of DDR3 RAM (1333 MHz) available, along with a 500 Gigabyte hard drive. The approximately 1000 Euro device also has a fast USB 3.0 port, and a UMTS module. 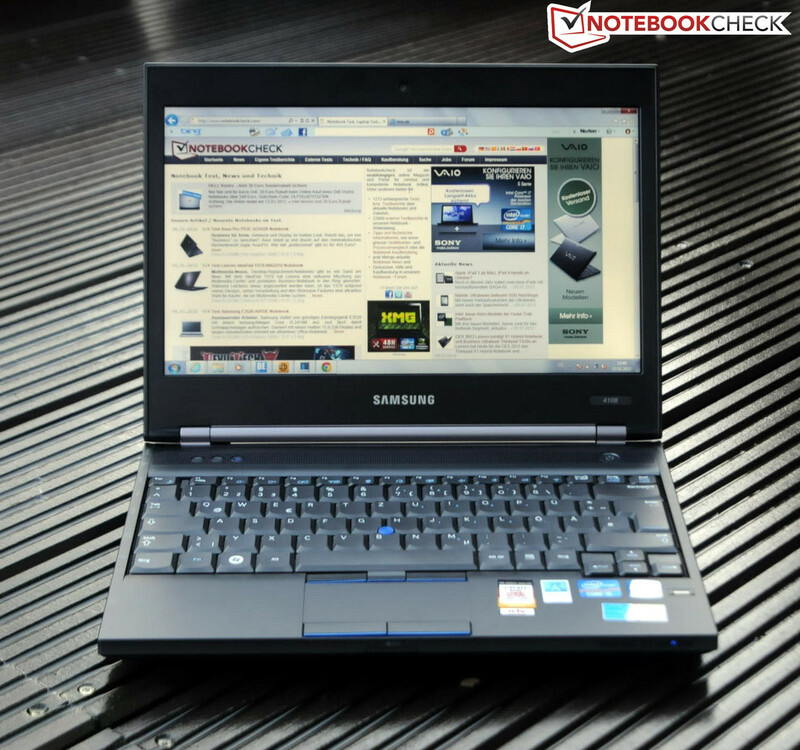 Which aspects of the Samsung 410B2B were able to make a convincing impression on us, and where the disadvantages of the 12.5 inch notebook lie, can be discovered in the following review. Samsung has equipped all the notebooks in the Series 4 with the Durcase chassis, which is supposed to be especially robust. The design has been kept very decent. The only color available is black, and there are no special external features. Fingerprints are barely noticeable on the matte surface. The case of the Samsung 410B2B isn't a complete success in our opinion though. In some areas the case could be dented considerably, especially around the DVD drive, even though it is supposed to provide a high level of stability. The surface supporting the keyboard and the palm resting area, however don't suffer from the same problem. 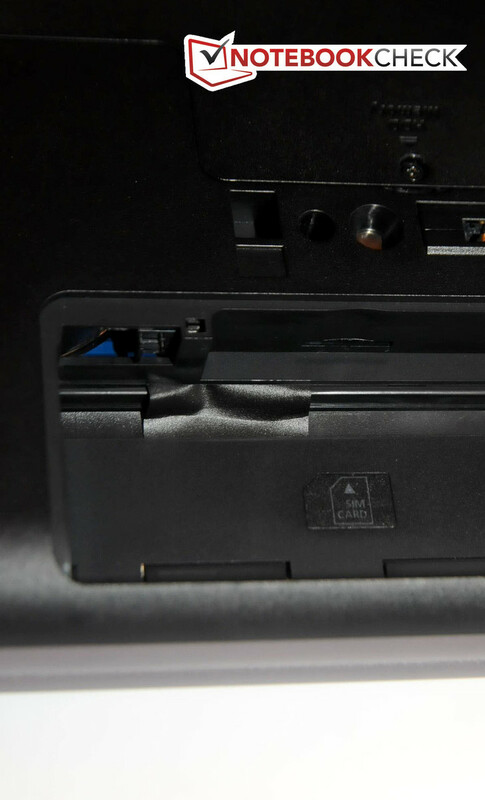 The weakness of the Durcase chassis on our reviewed device are the display hinges. These don't hold the display very firmly, such that the display can close while moving the notebook, which can cause the device to go into standby mode when it is in use. A positive aspect on the other hand is the extremely large maximum opening angle, which allows the notebook to be completely flat. Integrated into the display frame is a 1.3 Megapixel (SVGA) webcam. Considering the compact dimensions of the 12.5 inch device, as well as its light weight of 1.74 kg, the Samsung 410B2B is relatively well suited for mobile use. 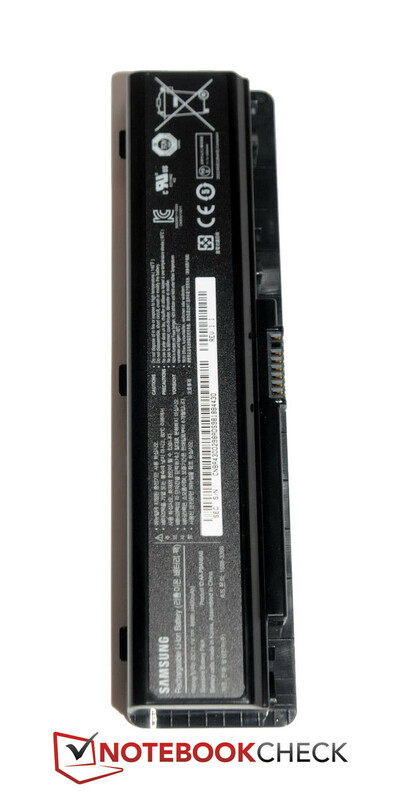 The interfaces on the Samsung 410B2B are located on the left and right sides of the device. 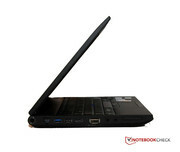 The 12.5 inch notebook has a fast USB 3.0 port, as well as an ExpressCard34 slot, and an HDMI port. A special feature of the 410B2B model is the 3G modem (HSUPA, HSDPA, UMTS, EDGE, GPRS). An interface for a docking station can be found on the bottom of the notebook. The price for a Samsung Smart Dock lies at approximately 230 Euros. This provides the following ports in addition to the already available interfaces: DisplayPort, DVI, serial (COM port, RS232, 9 pole). Samsung hasn't held back when it comes to the communications options of the 410B2B. Using the Realtek PCIe GBE Family Controller, it is possible to connect the device to a hard wired LAN (10/100/1000 MBit). WLAN is provided by the Intel Centrino Wireless-N 130 (bgn). Bluetooth is available in the most up to date version 3.0. The highlight in this area though is the 3G modem, which supports HSUPA, HSDPA, UMTS, EDGE and GPRS. There shouldn't be any problems surfing the internet in any case - providing the necessary mobile data package is obtained. The security features of the Samsung 410B2B aren't limited by cost savings either. 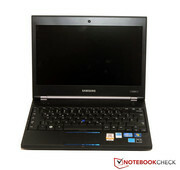 Immediately noticeable is the fingerprint reader, which should prevent strangers from gaining access to the notebook. 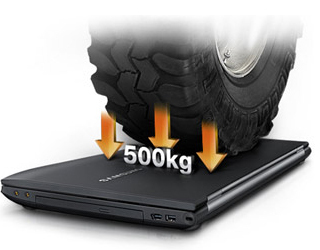 The integrated 500 Gigabyte hard drive also has a fall sensor, which should prevent the loss of data as a result of shocks, such as for example if the notebook is dropped. 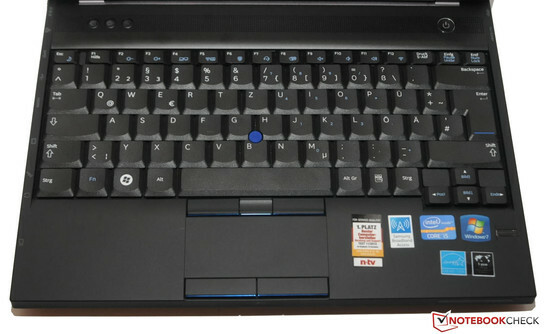 The keyboard is also marginally waterproof, and there is also a Trusted Platform Module (TPM) chip integrated into the Samsung 410B2B. The standard Kensington slot available with most notebooks is also not missing. In terms of the security the device definitely gave us a convincing impression. The delivery of the Samsung 410B2B doesn't include any additional accessories. Along with the notebook, the box merely contains an AC adapter, a recovery CD, and user guides. For just about 1000 Euros, it would have been reasonable to expect a little bit more, even if the included recovery CD is no longer a standard accessory, and makes Samsung stand out from the competition positively. Samsung provides the 410B2B with a standard warranty period of 24 months (including collection service). In addition, Samsung also provides warranty extensions of 12 to 36 months, which can be acquired starting from a price of 70 Euros. Samsung uses the whole width of the notebook for the keyboard. A numeric keypad is not included as with its bigger brother due to its size restrictions. Merely the arrow keys stand out from the layout marginally. The keys have a comparatively long travel, and have a conically curved surface, which should improve typing accuracy. The keys also have a crisp pressure point, and provide good feedback. Typing tasks should therefore be easy with the Samsung 410B2B. 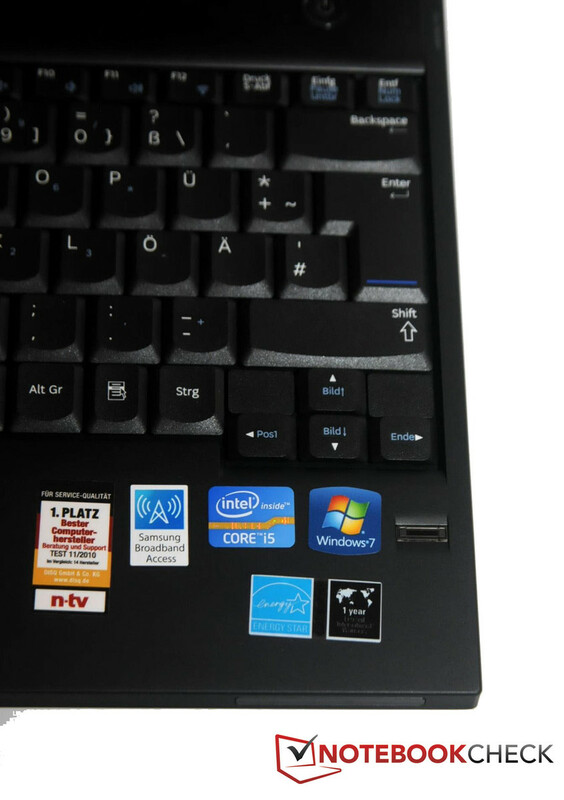 There are two options available to users of the notebook, as alternatives for a mouse: The integrated touchpad provides the usual quality. The touchpad is sufficiently large, and supports multi-finger gestures. The gliding properties of the touchpad surface are good. The buttons are relatively small, but easy to use, and don't make any noise. Assuming the touchpad isn't used, it is possible to quickly deactivate it. The second option as a mouse replacement is the trackpoint. This is located between the keys G, H and B. Similarly to the 400B5B, this is slightly too low for comfortable use. The Samsung 410B2B has the smallest display of the Series 4 models. The 12.5 inch display with a matte surface is backlit by LEDs, and has the product description 125AT03-801. It provides a maximum resolution of 1366 x 768 pixels, and has a 16:9 aspect ratio. Integrated into the display frame is a small 1.3 Megapixel (SVGA) webcam. External monitors can be connected to either the VGA port, or the more up to date HDMI port. Samsung claims that the display has a brightness of about 200 cd/m² on its product website. Using our Gossen Mavo-Monitor we were only able to measure lower brightness levels with our reviewed device: On average the luminance was a mere 145.6 cd/m². The highest level measured by us was 163 cd/m², and is thus considerably lower than the claimed 200 cd/m². During battery powered use the luminance reduces even further: While we measured 163 cd/m² in the middle of the display when mains powered, this decreased to 135 cd/m² when battery powered. The measured black level of 1.22 cd/m² was also quite high, and leads to a low contrast ratio of merely 134:1. 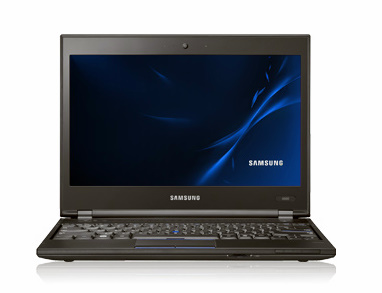 The Samsung 410B2B is thus only marginally suitable for outdoor use. The 12.5 inch notebook may have a matte display, but the brightness is unfortunately too low for pleasant outdoor working (see below). The luminance should be at about 250 cd/m² or above for good outdoor suitability. In this case the compact business notebook unnecessarily trims its potential. The viewing angle stability is more or less in the expected area. We photographed the notebook display from different angles in a dark room, and created the following photo collage with the resulting images. As can be seen, the displayed images are relatively stable in the horizontal plane, but quickly become altered when looking from above or below. The Samsung 410B2B may be small, but it contains a lot of processing power. The 12.5 inch notebook is equipped with a dual-core Intel Core i5 2520M, which uses the Sandy Bridge architecture, and can process up to four threads simultaneously thanks to Hyper-Threading. The dual-core processor has a base clock speed of 2.5 GHz, but is able to increase this to up to 3 GHz (two cores) or 3.2 GHz (one core) for short periods of time thanks to Turbo-Boost, assuming that the processor is sufficiently cool. The 624 million transistor CPU contains a Level-3 cache of exactly 3072 KB. Its Thermal Design Power (TDP) is 35 Watts according to Intel. Integrated into the processor is also the graphics solution. In this case the DirectX 10 capable graphics unit is an Intel HD Graphics 3000. The advantage of this graphics solution is the very low power consumption. 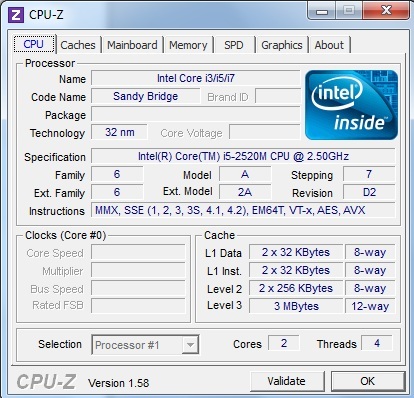 Intel's HD Graphics 3000 uses the Level-3 cache and the RAM along with the processor. Excessive graphics performance shouldn't be expected though, since a dedicated graphics card would be necessary for more graphics processing power. The Samsung 410B2B has about 4 Gigabytes of DDR3 RAM (1333 MHz) available, which can be upgraded to a maximum of 8 Gigabytes. The included 500 Gigabyte hard drive has a rotational speed of 5400 revolutions per minute. We analysed the performance of the processor using the software Cinebench R10, as well as Cinebench R11.5. Using Cinebench R10 (64-bit) the system managed to score 4962 points in the single-rendering test with the Intel Core i5 2520M, while the Toshiba Tecra R840-11E with the same CPU managed to score a total of 5135 points in the same test. The reason for the difference: Small cooling systems (usually in smaller notebooks) don't allow the Turbo 2.0 over-clocking to reach its highest theoretical levels. Using the Cinebench R11.5 CPU benchmark, both of the cores operate at a clock speed of up to 3 GHz, and never fall below 2.5 GHz. 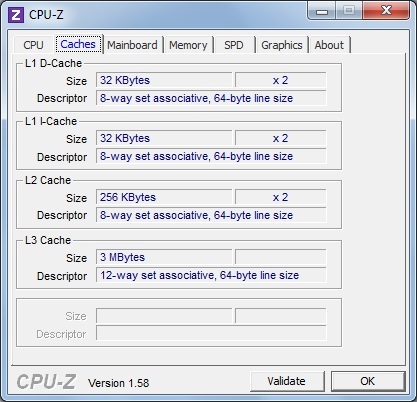 The score achieved by the system was 2.43, whereby this is far behind the scores achieved by other devices with the same processor. The Lenovo Thinkpad X220 with the same processor for example managed to score a whole 2.9 points. Altogether the 12.5 inch notebook thus nestles into the mid-range of our benchmark results database. In order to assess the system performance, we used both the PCMark Vantage and PCMark 7 benchmarks. 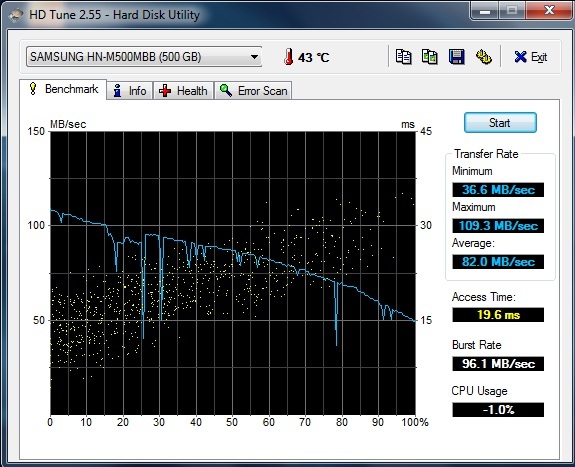 The older PCMark Vantage benchmark gave the Samsung 410B2B a score of 5899 points. This places the device among notebooks with the same CPU and GPU. A considerably better score was achieved by the HP ProBook 5330m, which managed to score 10775 points thanks to the SSD included by HP, which speeds up the system considerably. Using PCMark 7, the reviewed device received a good, although less than perfect, result. In this case a score of 1756 points was achieved. The same number of points was achieved by the Asus Pro P53E-SO102X with a Core i3 (no Turbo-Boost), and an Intel HD 3000. Most 2410M systems with a low performance dedicated GPU, also achieve more or less the same performance. Samsung has included a 500 Gigabyte hard drive. The HDD from Samsung with the product description HN-M500MBB and a rotational speed of 5400 revolutions per minute is not especially fast, but nevertheless operates relatively quietly. The HDtune benchmark ascertained an average transfer rate of about 82 MB/s, which places the performance in the mid-range of our test database. The notebook would be considerably faster with an SSD, something that is unfortunately quite expensive and has a lower storage capacity. The Sony Vaio VPC-SA2Z9E/B with a 256 Gigabyte SSD for example provides a transfer rate of 709 MB/s (instead of 82 MB/s). The only graphics solution in the Samsung 410B2B is the HD 3000 integrated in the processor. Excessive graphics performance should therefore not be expected. We nevertheless analysed the performance using a series of 3DMark benchmarks. Using the older 3DMark version 03, the graphics solution managed to score a mere 7699 points, which places it in the lower quarter of our benchmark database. The other versions of 3DMark didn't lead to any better results either. 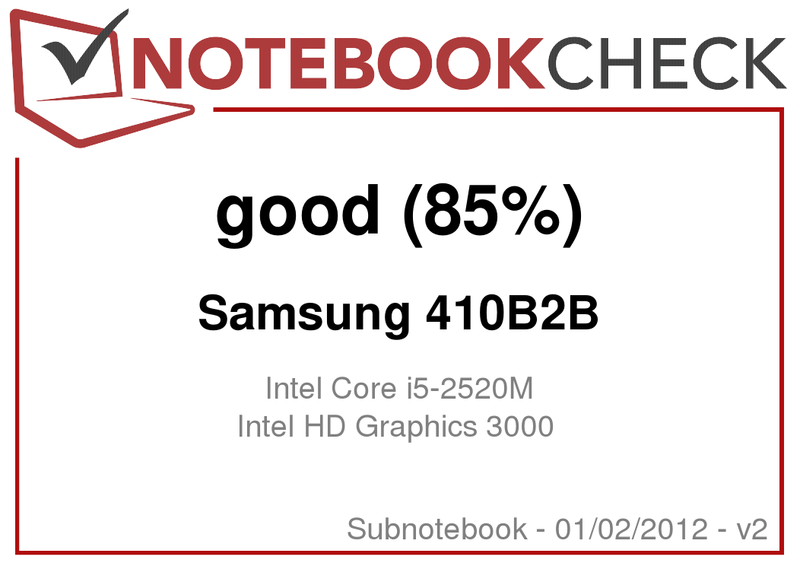 Thus the Samsung 410B2B managed to score 3529 points with 3DMark 06, although this still places it within the same area as other notebooks with the same CPU/GPU. Playing games with the 12.5 inch notebook is only possible within limits. More information relating to this can be found on the details of the Intel HD Graphics 3000 webpage. 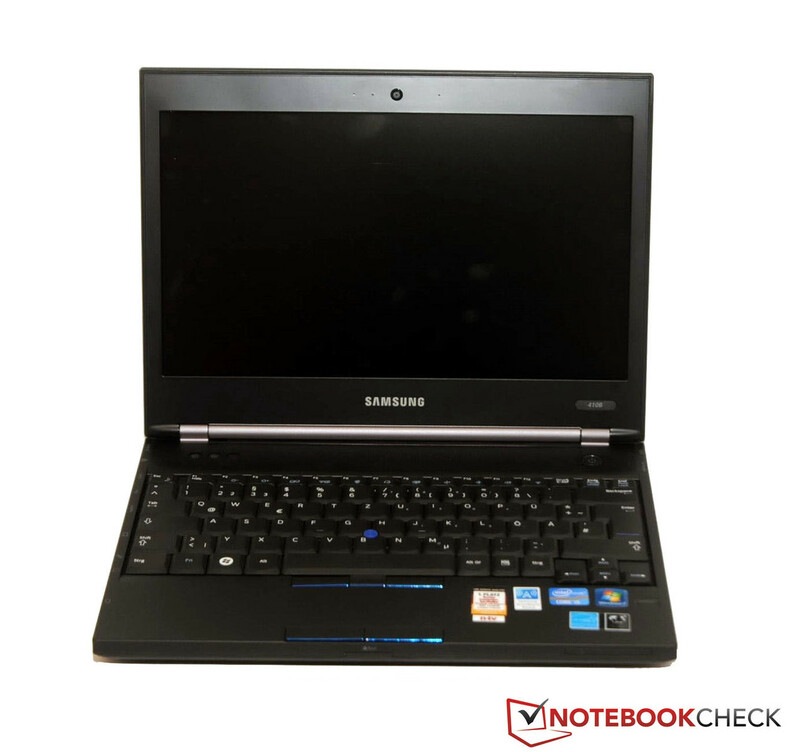 The Samsung 410B2B belongs to the quieter notebooks during office use. With a low processing load, a mere system noise of 30.9 to 33.5 dB(A) was measured. Things get a lot louder when using the DVD drive. When playing back DVDs, we measured a noise level of 37.5 dB(A); a value which is still in the tolerable range though. During a constant processing load, the notebook does get unpleasantly loud though. Our measured peak level was at 42 dB(A). During office use this level is however very unlikely to be encountered. We also measured the surface temperature of the 410B2B. During low processing load, the notebook stays relatively cool. Our measured peak temperature on the top surface was a mere 26.6 °C, whereby the peak temperature on the bottom was 34.1 °C. These measured values are well within the acceptable range. The 12.5 inch notebook becomes noticeably warmer when subjected to a constant high processing load (stress test scenario). The temperatures on the top surface nevertheless still remain within an acceptable range. On average the temperature was at 28.8 °C, although this increased to 36.6 °C in some areas. The temperatures on the bottom of the device did reach unpleasant temperatures however. Our measured peak temperature was a hot 52 °C, while the average was at about 32 °C. More and more current notebooks show throttling, which let's the CPU clock fall below the base clock speed, when the processor gets too hot during high processing load. During our several hour stress test we ran Furmark and Prime95 in parallel. 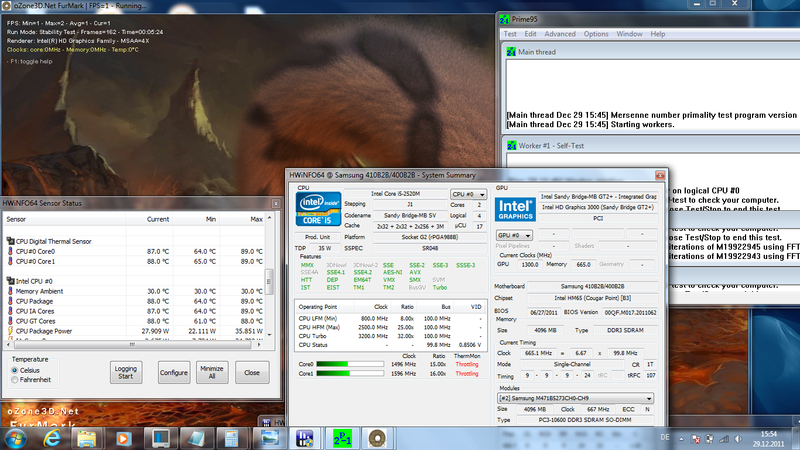 Already after a short time, the CPU clock speed fell to 1496 MHz. This only happened when the integrated GPU was used extensively though. With Prime95 running by itself, we didn't observe any problems. We also carried out a Cinebench R11.5 (64-bit) benchmark immediately afterwards, resulting in a score of 2.28 points, instead of the previously achieved 2.5 points. However if the laptop is used for what it is designed for, i.e. as office device, this shouldn't lead to any problems. (+) The average temperature for the upper side under maximal load is 28.8 °C / 84 F, compared to the average of 30.7 °C / 87 F for the devices in the class Subnotebook. (+) The maximum temperature on the upper side is 36.6 °C / 98 F, compared to the average of 35.8 °C / 96 F, ranging from 22 to 57 °C for the class Subnotebook. (+) In idle usage, the average temperature for the upper side is 23.5 °C / 74 F, compared to the device average of 30.7 °C / 87 F.
The integrated speakers are not especially good, similarly to most other office notebooks. Samsung has included two small speakers with 1.5 Watts each. Bass frequencies are almost completely missing. For listening to music or watching movies external speakers would be recommended, which can be connected to the 3.5 mm minijack audio output. The included speakers should nevertheless be more than sufficient for standard office use. The power consumption of the 12.5 inch notebook is relatively low. During office use, the power consumption lies between a mere 9.3 and 13.5 Watts. While subjected to a high processing load, this value increases substantially as expected. While Prime95 and Furmark were running in parallel, the notebook used about 52 Watts at its peak. The included AC adapter is therefore well equipped with 60 Watts. Considering the size of the notebook, these results are justifiable. 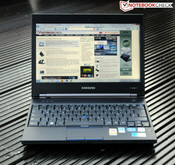 Samsung has equipped its 12.5 inch notebook with a 6 cell Lithium-Ion battery. This provides a capacity of around 48 Wh (4400 mAh), and should provide for decent battery runtimes. Initially we ascertained the maximum conceivable battery life using the Battery Eater Readers Test. During this we selected the power saving profile, deactivated WLAN/Bluetooth, and set the brightness to its lowest level. The test lasted for 5 hours and 52 minutes. The next test simulated internet surfing use. During this WiFi was activated, and the brightness was set to about 100 cd/m². The test was carried out by loading a new webpage every 40 seconds in order to simulate practical internet surfing. In this case the Samsung 410B2B lasted for about 4 hours and 3 minutes. A further test was carried out to ascertain the battery life while playing back a DVD. During this test we also had the power saving profile activated, but WLAN was switched off, and the brightness was set to its highest level. In this scenario the notebook lasted for 3 hours and 15 minutes while playing a DVD. Our last test determined the battery life while the notebook was subjected to a high processing load. We also used Battery Eater in this case, but this time the Classic Test. During this test we had WLAN and Bluetooth activated, and set the brightness to its highest level. 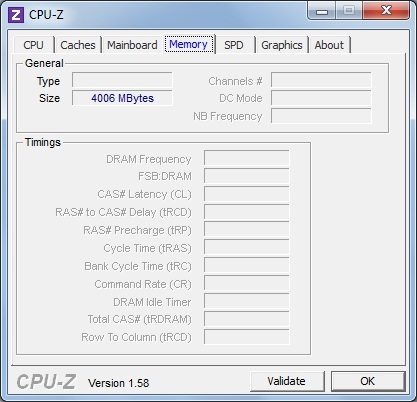 The power profile used was "Maximum Performance". This test finished after a considerably shorter 1 hour and 19 minutes. The smallest model in Samsung's Series 4 was only able to make a convincing impression is some aspects. 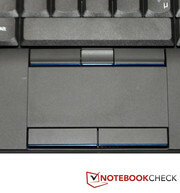 The notebook scores points with its security features, such as TPM chip and its interfaces. The 12.5 inch device even has a USB 3.0 port. 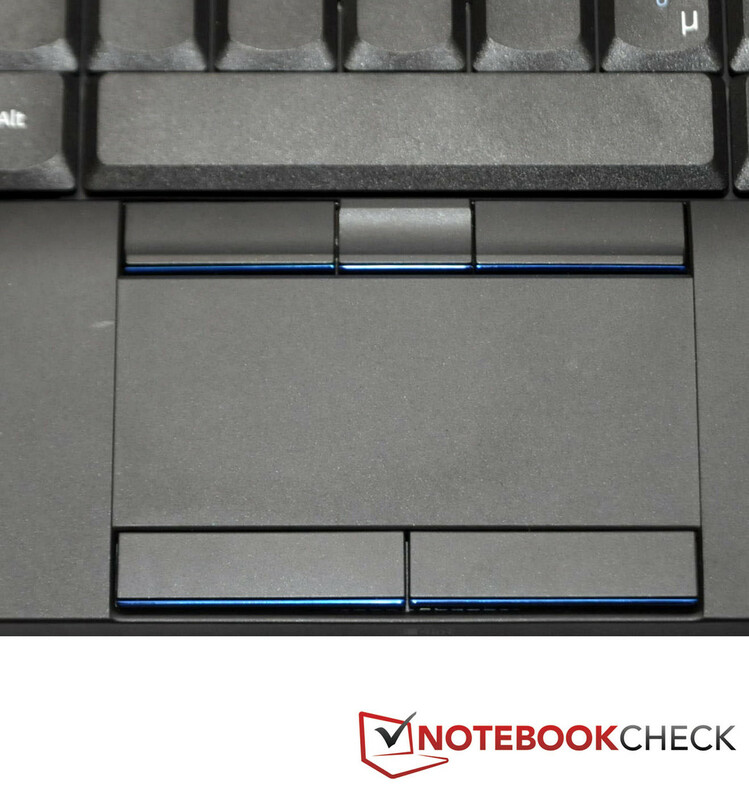 An additional advantage of the business notebook is its UMTS module. The adopted display may be matte, but unfortunately lacks luminance, and the contrast is also on the low side. Especially use outdoors can be hampered by these characteristics, despite the favorable matte display surface. The display hinges also don't work convincingly well. As long as the notebook is used for the intended "office use" it remains quiet and cool. A persistent processing load can lead to high temperatures and even to CPU throttling in extreme situations, though. 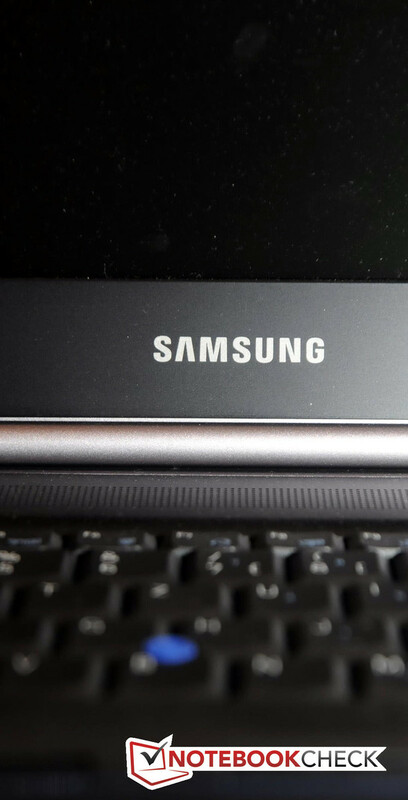 Potential owners of the 12.5 inch Samsung 410B2B notebook can look forward to a compact device, which stands out thanks to its security features, and UMTS module. Assuming the notebook is primarily used indoors, the displays shortcomings also shouldn't cause any problems. The Samsung 410B2B is the smallest Series 4 model. The price of the notebook lies at about 1000 Euros. Included as standard however, is the UMTS module. A docking station can be acquired optionally. The stickers aren't properly attached. Things look different when it comes to the display hinges. These only hold the display relatively loosely. The touchpad fulfills its purpose. The integrated battery was able to impress in some cases. The opening angle is very large. 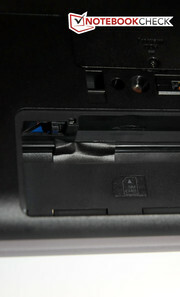 The base plate of the 12.5 inch notebook can be dented easily in some places. With a weight of just under 1.7 kg it is also not especially heavy. As a mouse replacement there is also a Trackpoint available. The integrated UMTS module. With this there is nothing standing in the way of an internet connection on the move. 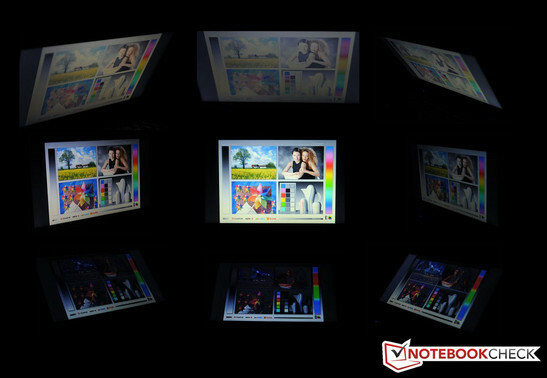 A better backlight would improve the notebook enormously, and make it suitable for outdoor use. The case of the notebook which is supposed to be especially stable, doesn't always give that impression when handling the device.